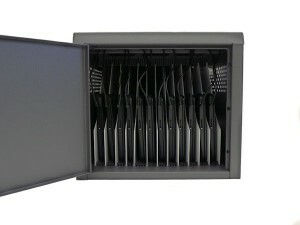 Secure and compact, this cabinet is perfect for classrooms, law firms, hospitals, retailers and even hospitality locations where multiple Chromebooks have to be protected and charged. And it takes up very little physical space. 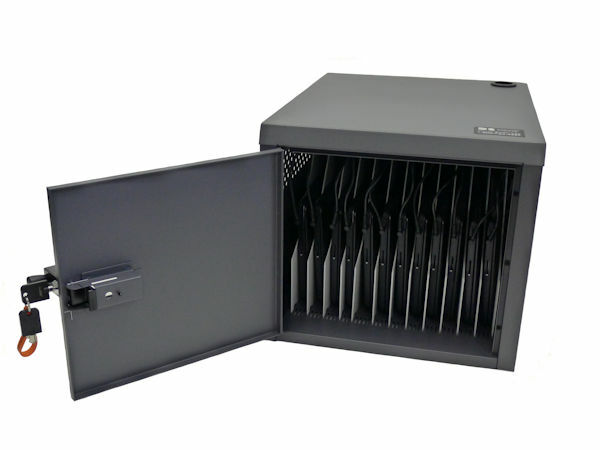 Secure: The Netsafe-CB-12 has a highly secure integrated locking mechanism, the hallmark of all Datamation Systems products. You work hard for your technology resources. 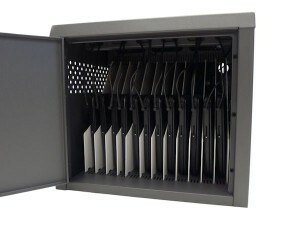 You might as well protect them with a real level of security. Sustainable: Uses existing customer-provided cables, reducing waste and lowering costs for our customers; made with recycled material where possible; energy-efficient design; durable and adjustable so it can change with new technology.